The all-new 2019 Toyota Camry looks, feels and drives totally different. In fact, this isn’t the same Camry you remember. 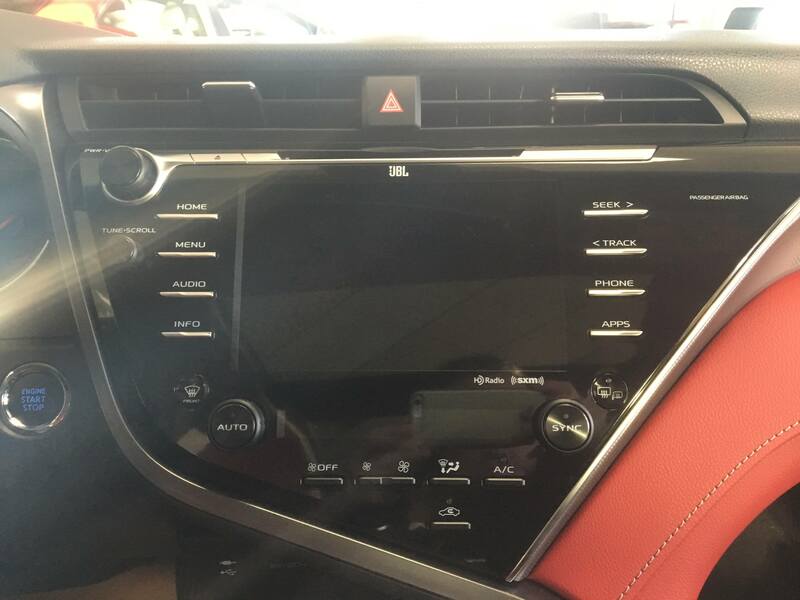 Full of new technology that is intuitive and city-savvy, the Camry now comes with Apple CarPlay, the smart and easy way to use your iPhone while driving. 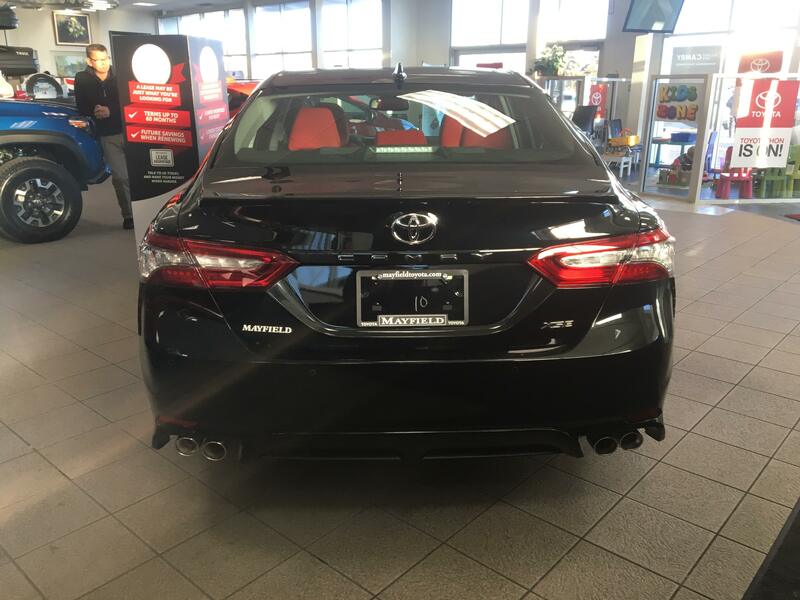 With a new design built on the Toyota New Global Architecture (TNGA) platform, the 2019 Camry also has a longer wheelbase, a wider stance and a lowered center of gravity. 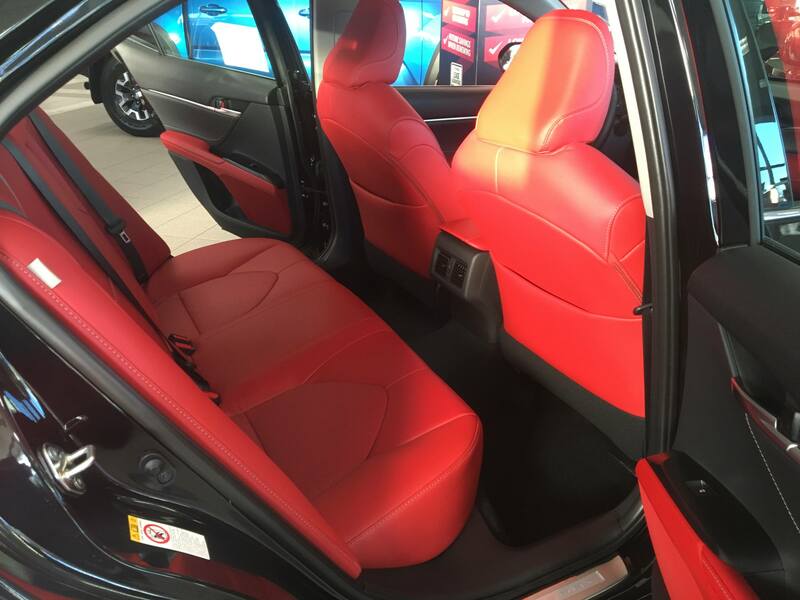 All this makes for a sportier, more exciting sedan that is turning heads everywhere it goes. Toyota has included their most powerful and fuel-efficient engines to date in the all-new Camry. The Camry LE, XLE, and SE come equipped with a 206 horsepower 2.5-liter engine while the XLE and XSE sport a 301 horsepower 3.5-liter 6-cylinder engine. 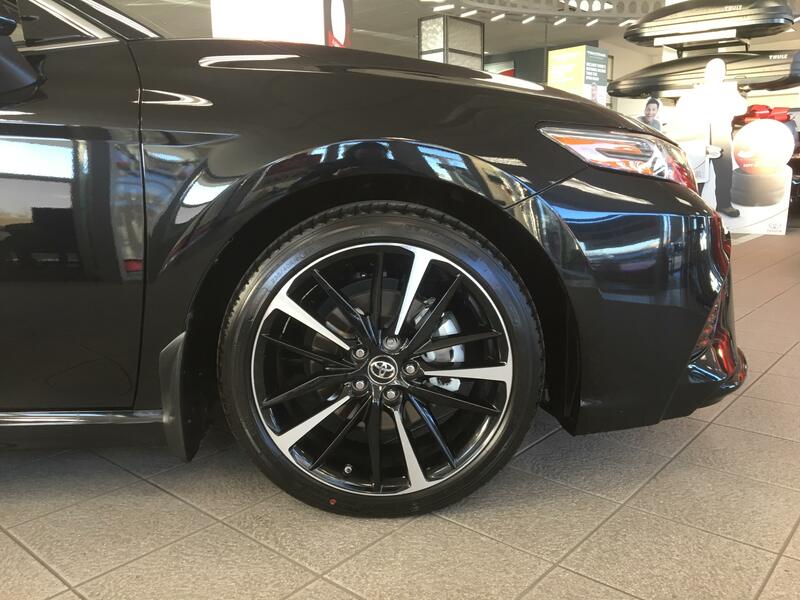 The all-new Camry’s drivetrain and suspension have been recalibrated to reduce vibration and improve the driving experience. In fact, fuel economy has also improved (City: 8.4 L 100/km) meaning you spend less time and money at the gas station. And, now that the Camry is lower to the ground, you feel an extra confidence boost when taking a tight corner or traveling at fast speeds. The midsized sedan segment has an abundance of options. The three most popular choices for buyers tend to be the Toyota Camry, Honda Accord and the Nissan Altima. So how does the Camry stack up against its biggest competitors? The Camry is More Affordable: The 2019 Camry starts at $26,390 which is almost $2,000 less than the Accord ($28,090) and Altima ($27,998). The Camry is More Fuel Efficient: The 2019 Camry gets 6.1 L 100/km which is better than the Accord (6.3 L 100/km) and Altima (6.5 L 100/km). The Camry has More Passenger Space: Tall drivers and their lanky passengers can rejoice. The Camry has more room for you (965 mm) than both the Accord (948 mm) and Altima (942 mm). Why Buy from Mayfield Toyota? Let’s be honest. There are a lot of dealerships in Edmonton to choose from. 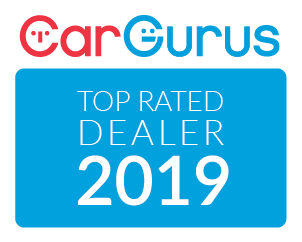 So what makes Mayfield Toyota better than all the rest? We have the best prices in Edmonton. No, seriously. 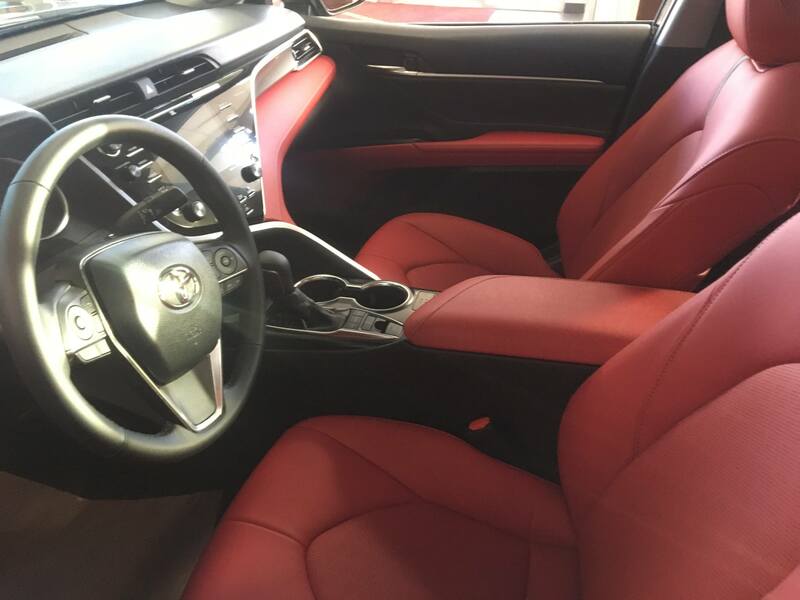 Find a better price on a 2019 Camry in Edmonton and we’ll beat it! 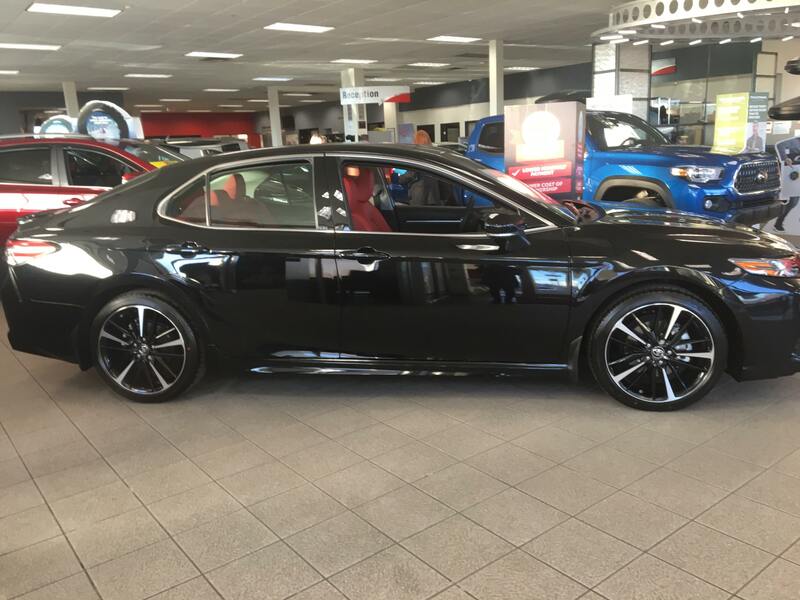 Shopping for a new 2019 Camry in Edmonton? Learn why thousands of customers from across Alberta have chosen Mayfield Toyota to purchase their brand new Toyota from.